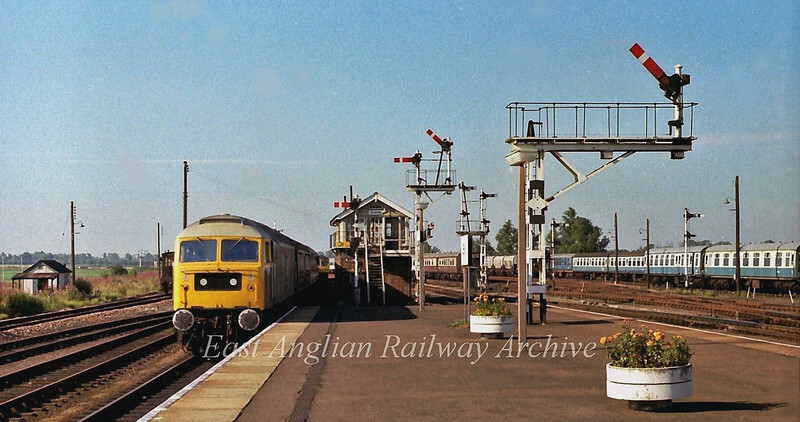 The scene at Ely on the 17th August 1978 with a nice array of semaphores. The 0728 Harwich Parkeston Quay to Manchester Piccadilly is arriving behind 47017. On the right can be seen redundant coaching stock including some pullman cars, destined for Kings Scrapyard at Snailwell.